GRAITEC BIM Connect enables effective and efficient BIM workflows between Autodesk® Revit® and Autodesk® Advance Steel®, as well other GRAITEC software including: Advance Design, Arche and SuperStress (for structural design and analysis), and GRAITEC Advance Workshop for Steel Fabrication Management (MIS). Intelligent BIM workflows are essential to retain the integrity of the originating model and its associated downstream data. BIM Connect links Revit models with GRAITEC Advance solutions for optimized BIM workflows and streamlined synchronisation of the design-to-detailing-to-construction process of structural projects in accordance with U.S., Eurocode and other international standards. 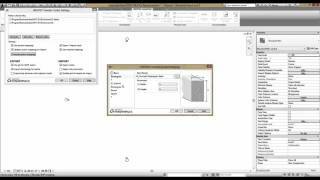 GRAITEC BIM Connect also supports multi-discipline and multi-platform workflows with advanced options enabling the transfer of building performance FEM results between Advance Design and Revit. 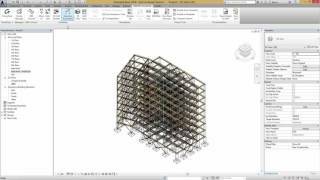 GRAITEC BIM Connect's ability to bi-directionally transfer essential data between Revit and Advance Steel helps drive improved productivity and reduce typical manual data transfer errors. 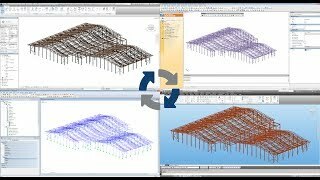 Additionally this functionality also acts as a catalyst for further workflow improvements by making intelligent data available for the automation of related downstream processes, such as rebar creation in Revit (with Reinforced Concrete BIM Deisgners) or connection design in Revit and Advance Steel. Please visit our app web page for more information.